While speaking to reporters on Thursday, Maine’s tea-party Governor Paul LePage offered quite the colorful description of state Sen. Troy Jackson, saying he “claims to be for the people, but he’s the first one to give it to the people without providing Vaseline.” He then walked away, but circled back to clarify his remark. “That comment is not politically correct,” he said. “But we gotta understand who this man is. This man is a bad person. 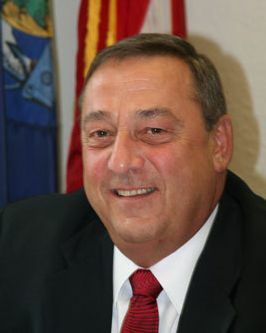 He doesn’t only have no brains; he has a black heart.” On the bright side, LePage didn’t call him a Nazi.